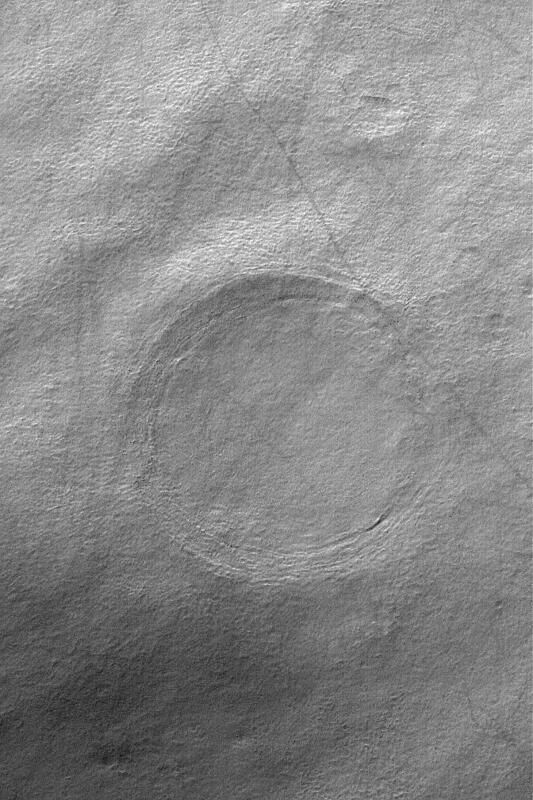 The circular feature in this Mars Global Surveyor (MGS) Mars Orbiter Camera (MOC) image is the location of a buried impact crater in southern Noachis Terra near 55.4°S, 325.1°W. 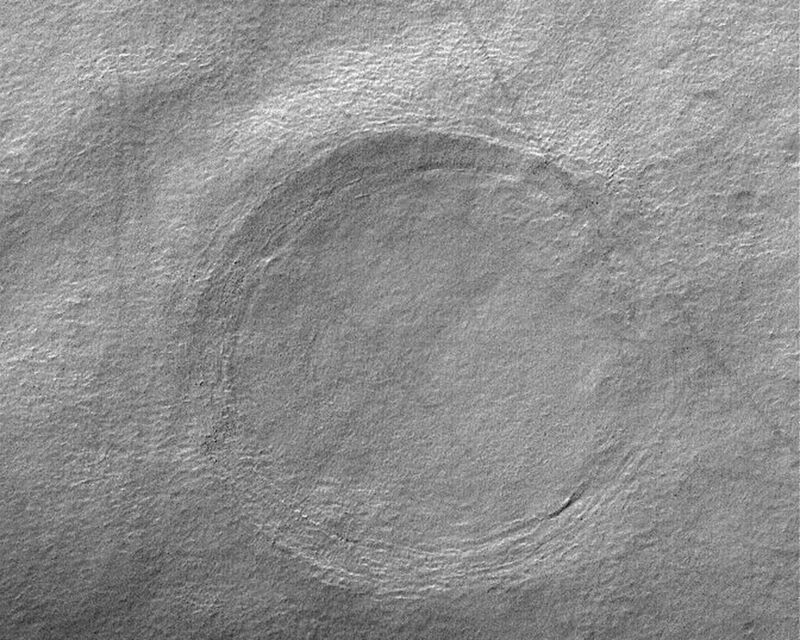 The image covers an area about 3 km (1.9 mi) across; thus the crater is roughly 2 km in diameter, or twice the size of the famous Meteor Crater in northern Arizona. 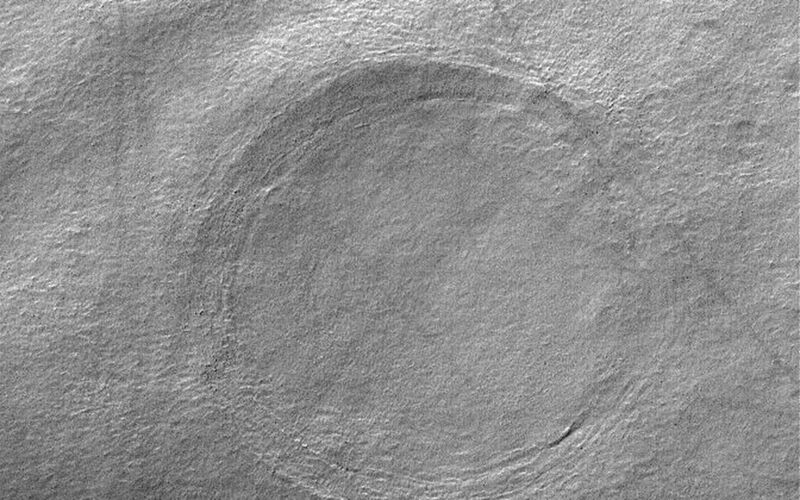 A visitor to the Arizona Crater would be quite impressed by the height of its raised rims and the depth of and distance across its bowl, relative to a person. At the human scale It is challenging to imagine a crater twice that size that has been filled and buried by sediment and debris, yet the crater shown here is simply an example. 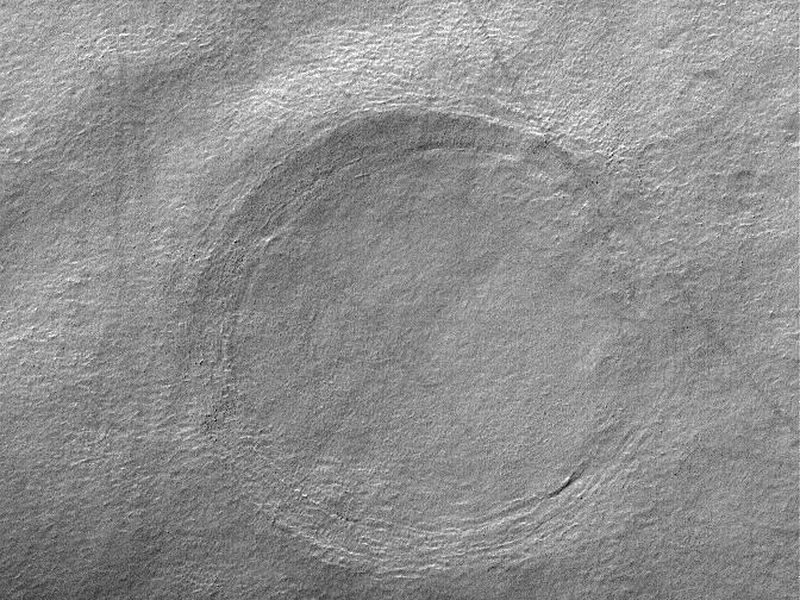 On Mars, craters over 100 km in diameter have been buried, and some have been exhumed. This image is illuminated by sunlight from the upper left.